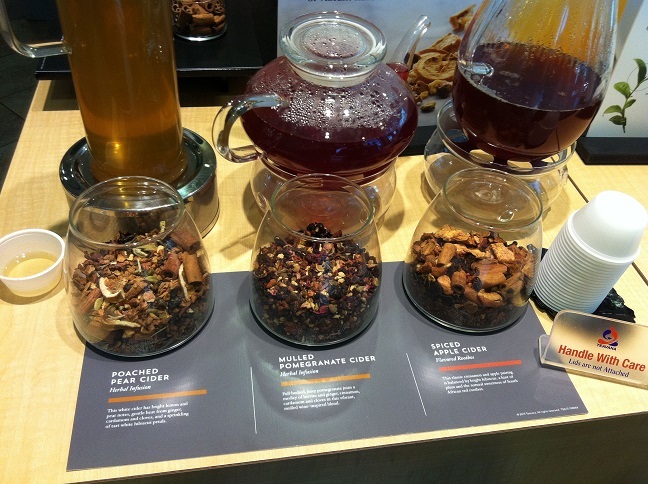 Have you seen Starbucks’ Teavana’s Fall teas? They’re supposed to be inspired by hard cider. When I heard about them, I knew I had to give them a try. My friend and I visited the Teavana store to try these teas. And it was definitely interesting to taste all the different spices in the teas. You can try them for free by visiting the store. I’m posting my weekly finds a little earlier this week due to a conflict in my schedule. I couldn’t write a post for one of my recipes in time. You can expect another recipe post over the weekend. In the meantime, these are the recipes I’ve discovered this week. This Panera’s Broccoli Cheese Soup looks amazing for the fall weather. Marry Me Cookies with White Chocolate and Macadamia Nuts. The name says all. Kale Pasta with Walnuts and Parmesan. I love how healthy this is. Maple Dijon Apple Cider Grilled Pork Chop sounds like the perfect fall meal. This Fall Harvest Cider Roasted Chicken with Walnut Goat Cheese and Grapes looks so delish. How cute are these Jack-O-Lantern pumpkin Hand Pies? That drizzle on the Vanilla ricotta Pound Cake with Maple Glaze. Pumpkin Crumb Cake looks like the perfect October dessert. I need this Grilled Veggie Slider with Goat Cheese Spread and Roasted Red Pepper Vinaigrette in my life. These Maple Glazed Apple Fritters! How much easier can it get with this Slow Cooker Chicken Pot Pie? Dulce de Leche Crepes. Yes! Maple Pumpkin Scones with Maple Glaze. So good. I have this Easy Chicken Enchilada Bake on my “to make” list ASAP. These Cheesy Bacon and Jalapeno Potato Chip Pizza Bites are the ultimate snack. I’m so inspired right now to cook up a storm. I found 3 recipes I have to try! Thank you for sharing. I don’t drink coffee so I’ve never been into a Starbucks. Maybe I should find out if any nearby stock these teas as I am a massive fan of tea. Thanks for the round up of recipes. There’s a good few on this list that I will have to check out. are those teas available in all starbucks stores? I think it’s just in the Teavana stores. That easy chicken enchilada bake looks so good!